I keep telling myself that I will reserve one week out of the month for us to do a podcast with only the hosts and every month we come across some awesome guest that causes me to fill up the calendar… which is a fantastic problem to have. The podcasts with just the four of us are some of my favorites. There is nothing better than just kicking-back and talking about whatever comes to mind while playfully picking on one another. This week, we were fresh off of the Tunnel Hill 50 mile race and we discussed our performances and some of the events that took place. Big Thirsty announced his retirement from distance running only moments before eluding to the possibility of running the 100-mile race next year. Von discussed seeing ghosts from the Civil War during the overnight portion of his 100mile race. And, Amanda wrapped up the program by announcing that she was ready to go to “Pooh Town” which seemed like a good time to shut down the cameras. It’s always a lot of fun on the episodes with just the four of us. We hope that you enjoy the show. 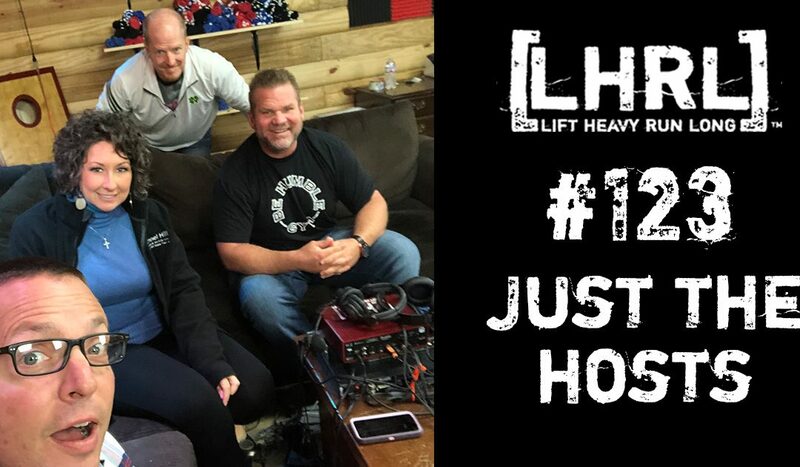 Thank you for being a part of Lift Heavy Run Long®.